Wingchairs always add just that little bit of comfort and style to any room. The Classic Wingchair is a welcome addition to any house or office space. From the beautifully designed legs to the graciously trimmed arms, this sturdy chair will give you a lifetime of service. Whether you decide to have it covered in a rich velvet to enhance your bedroom or a dark leather to suit your study, you can choose from our range of more than 300 fabrics and leathers. We can even help you with a beautifully designed chair for your new baby room. Depending on the firmness you want for your seating, you can choose from Dunlop’s soft foam, medium foam, hard foam or Luxura foam. All Dunlop foams carry a 10 year warranty. 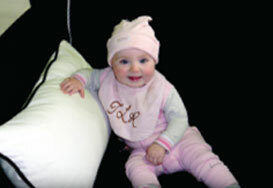 We also offer you the option of a duck feather seat and back cushion for that softer touch.